Institutions love its defensive, growth and yield attractions, and Amazon is its biggest customer. Can "Big Box" logistics assets continue to grow in a Brexit environment? If they can, buy shares in the near-£2 billion specialist real estate investment trust Tritax Big Box (LSE:BBOX), currently at around a 9% discount to prospective net asset value. However, could a recent drop on its chart be an indication of tougher times ahead? Tritax has performed resiliently for capital growth and income since I drew attention in December 2013, then trading at around its 100p issue price, and with insiders buying £455,000 of stock. I've updated various times with a positive view on this investment grade stock offering lower risk than many other capital growth/yield situations. The market price reached a 157p high last June, and the payout has more than doubled to over 6p per share, giving a 3-5%-plus annual yield over five years. 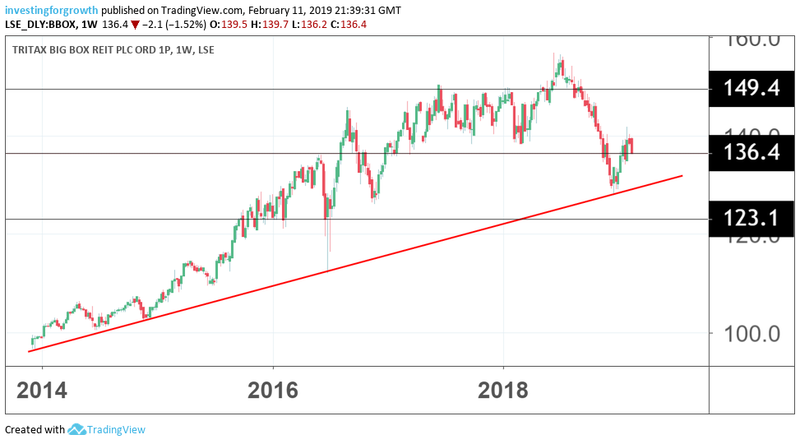 It then succumbed to the second-half 2018 market malaise, falling to 130p last December, which has thrice been affirmed as a support level when the stock bounced off it. Last June's diluted net asset value (NAV) was 145.4p per share, or 146.2p according a European Public Real Estate asset value, which excludes debt adjustments linked to hedges and deferred tax. My sense is that, despite dilution from two shares issues in the last 10 months, the progress warrants targeting 150p underlying NAV, and the board has guided for a 6.7p dividend in respect of 2018 overall. the progressive payout policy supported by upward-only rent reviews. At 136.5p a share currently, the yield is therefore 5% and growing. A chief question for the rating is whether the Big Box investment property market is approaching maturity after assets have been agglomerated by the likes of Tritax, such that investors temper expectations of growth. While in recent years Tritax shares have enjoyed a slight premium to NAV in recognition of growth prospects, their recent fall has opened up the more typical discount you see among property investment stocks. It also ensures a meaningful yield lest capital growth rates slow. That's not the current scenario however, as management continues to expand – it's just spent £370 million on db Symmetry which has one of the UK's largest strategic land portfolios for development of Big Box warehouse facilities. As land becomes scarcer at major UK logistics sites, this move is intended to boost competitive advantage - offering scope to add over 38 million square feet of property assets. The bear case would be the UK economy undergoing a permanent reduction in output and prosperity like those pessimistic of Brexit suggest, although that seems a worst-case scenario, while it's worth considering the vital role big warehouses have in the digital economy. As a property investment theme this is radically different and preferable say to shopping centres, even offices. A 17 January update in respect of the 2018 results (due 6 March) did not reference market forecasts or guide profits, but affirmed a progressive dividend policy, citing an aggregate payout of 6.7p per share in respect of 2018. Eight new Big Box investments have, since purchasing, shown a weighted average yield of 5.1% and a value uplift of 7.5%. The group portfolio shows a 4.7% uplift for 2018. Significantly, the latest strategic land acquisition is targeted to provide an average yield on cost of developing new assets of 7-8%, versus a valuation yield of 4.4% for the group portfolio as of end-2018. Without assuming much about value uplift for 2019 given the current muddle of Brexit, this stock is one likely to benefit if a withdrawal deal does pass parliament, and become a more attractive ‘buy' if it does drop on a no-deal Brexit, given industry demand for its specialist properties and with interest rates likely to be kept low. Amazon (NASDAQ:AMZN) is the largest tenant with 13.6% of the group's contracted income, UK logistics lettings demand remains strong and market rates continue to grow. The update cited £834 million debt drawn from a £1.46 billion facility, with an average 8.7 years to maturity and a weighted average running cost of 2.63% - hence, in such sense the group assets are value-accretive. Mind a £156 million equity issue was made last April at 142.5p a share, to fund the acquisition pipeline, which came at the cost of 8% dilution, and a latest one for £250 million at 130p a share has incurred a further 14% dilution, which blurs the path of value creation. This latest debt compares with the end-June balance sheet showing £207 million bank borrowings plus £492 million of loan notes, offset by £105 million cash, in context of £2,144 million net assets, hence net gearing of 27.7%. Total net finance costs shaved 10.5% off operating profit. Thus, debt management appears prudent if having a preferred limit given the current acquisition also involves shares as part consideration, besides the capital-raising. Possibly as a result of being rather tightly held i.e. not much free float, and also a moving feast of acquisitions, no broker seems to want to stick their neck out on Tritax. Last August, independent broker Numis raised its target from 150p to 153p, though the market went against this positive view for four months. I've dropped earnings per share (EPS) projections for 7.6p (in respect of both 2018 and 2019) from the table, as these are 18 months old, over which time management has made about 10 acquisitions and says, regarding the purchase of db Symmetry, that it will "contribute materially to the group's ability to continue to deliver strong earnings growth and a progressive dividend policy as well as significant valuation gains as these assets move through development to become income producing." A case, therefore, of trusting management, I suggest justifiably given their track record to date of value creation. This goes back prior to the formation of this REIT, and why they were able to start it with institutional funds. Before this news - also the 17 January update - Brewin Dolphin wealth managers declared a 5% stake, up from below the 3% threshold, the first Regulatory News Service announcement on stock holdings since May 2017. The price did then advance to 141p but was hit by the 130p placement price. At 136.5p currently, the shares are only 5% up from their recent low. As a follower for five years, I draw a line between Tritax's keen support at its float, and Brewin's stake-build. The institutions see this property segment as having defensive, growth and yield attractions, and also that this management is the best available. While some big institutions invest in property directly, in this specialist area it has made sense to back a REIT. The chief uncertainty is whether Brexit tips both Europe and the UK into slowdown, exacerbating discounts-to-NAV for property investment stocks. Yet structural change in retailing should continue to drive demand for Big Box space where Tritax looks to be establishing medium-term leadership with this land acquisition. It will never be an exciting investment, but merits awareness again as Brexit comes to a head. Either UK assets will re-rate with an exit deal approved by 29 March, or are exposed to a short-term drop. 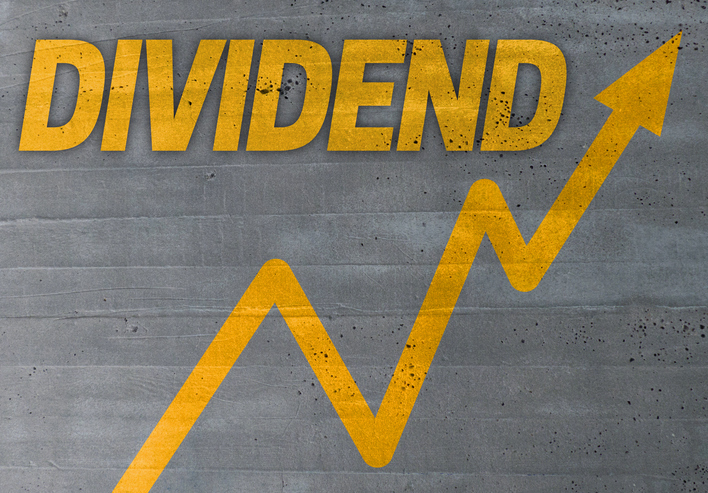 Clearly, Brewin Dolphin considers this stock defensive enough and with dividend growth potential to make it worth tucking away at current prices. Accumulate.